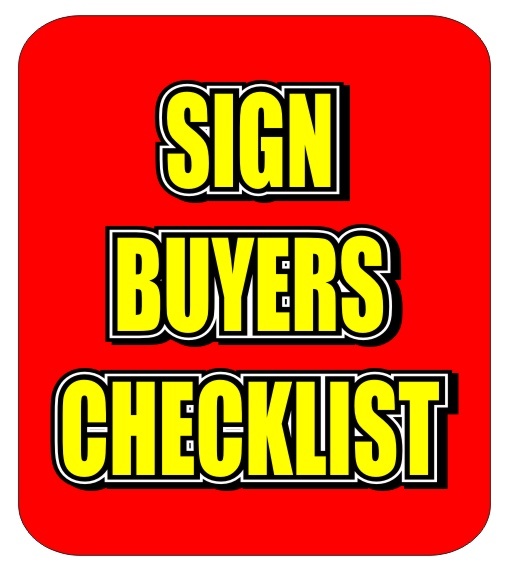 Here are a few key industry points to consider for effective signage. 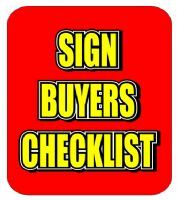 Let's call it our Sign Buyers Checklist! Are you directing, informing, or selling? Do you need particular colours, logos, or fonts? Whose attention do you want to attract? What will attract them? How far will readers be from the sign? How long will they have to read it? Where will the sign be displayed? How will it be attached? Will you need the approval of a landlord of local authority? What message do you want to communicate in your copy? Do you have special wording or layout requirements?